Membertou Entertainment Centre, commonly known as MEC, is the latest addition on the roster of Membertou's commercial spaces and enterprises. MEC is managed and established by John Miller in November 2007. It is a 33,000 square foot building which is strategically designed to host several special games to its visitors. The building is currently situated in Canada wherein it houses popular bingo and other specialty MEC games, as well as exclusive VLT areas both for its smoking and non-smoking visitors. The center's main halls are also specifically designed for its enjoying public and regular visitors. MEC is also known for its efforts to financially support and help local charities and groups every year. These groups include the Two Rivers Wildlife Park, Sydney Kinsmen, Sydney Crime Stoppers, Knights of Columbus, Membertou Recreation, Sydney Minor Hockey, MADD Cape Breton Chapter, Big Brothers, Big Sisters, and the Sunrise Rotary. All these groups are provided with the necessary aid and funding for their sustainment and further development. In terms of its offered games, the gaming center features a vast selection of special table and board games. One of the most popular games in this selection is the center's Monster Bingo game. Monster Bingo usually features special themed games depending on the current season or upcoming events and holidays. All these games have jackpots amounting to at least $10,000 and other bonus cash rewards ranging from $10 to $750. Another special game offering of this entertainment center is its Jack It Up game wherein players have the chance to win as much as $200 real cash. 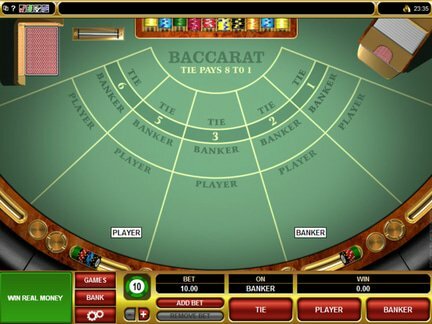 Players also have the chance to acquire the jackpot card and win more cash prizes on its progressive jackpot game. Game tickets are being sold for just $1. The goal of this game is for players to acquire a ticket with three bingo balls in it. Once the game moderator or the caller announces the winning three bingo balls, and it matched the bingo balls on the player's ticket, the player will be instantly awarded with $200. MEC Games include called Shutter Board. Cards are normally sold at a minimum of $0.10 to a maximum of $1.16 which is equivalent to 16 playing cards. This game is one of the gaming center's progressive games wherein the jackpot prizes continue to build up until someone wins it. Cards for MEC Games can be bought at $2 for the 3on cards, and $5 for the 9on bingo cards. 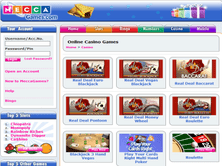 In terms of the gaming center's special nightly games, they offer five special games for every major Bingo night hosted by them. These nightly specials offer huge amounts of jackpot prizes, as well as loads of impressive bonus prizes from MEC. These games are also beneficial on the center's partnered charities and groups. These special nightly games include the Sydney Minor Hockey specials - which is hosted every Tuesday night wherein the jackpot reaches the amount of $500, the Membertou Entertainment Centre specials - which is hosted every Friday night and offers $1,000 as its jackpot prize, the Crimestopper specials - which grants an instant $750 to its lucky winner every Saturday night, and the Sunday specials labeled as the Sunrise Rotary special and Two River Wildlife Park special - wherein players have the chance to take home at least $500 per event. Additional cards for their special games are also available at $1 per 3on card. The gaming center also offers paper packages worth $25. This exclusive package includes six game cards which can be used for 23 games and all the featured special games. Students also receive a $5 discount for this special paper package rate. Visitors are also encouraged to be a member of MEC's rewards program. Members can earn their points every time they purchase playing cards for the eBingo machines and their exclusive bingo package. Accumulated points are redeemable as credits which can be used to purchase more playing cards. As for the point scale description of the points accumulated, 6on is redeemable at 2,500 points; 9on is redeemable at 3,000 points; 12 on is redeemable at 3,500 pints; 18on is redeemable at 4,000 points; $30 electronic balance is redeemable at 3,000 points; and $50 electronic balance is redeemable at 5,000 points. Players needs at least 2,500 points before they can exchange their points for these rewards. Overall, MEC is one of the most respected gaming centers worldwide because of its efforts to provide its visitors with fair and exceptional gaming experiences, as well as its call to aid and support local charities and groups through the center's earnings. These factors separate this gaming center from most of the gaming centers present in the market. With these, Membertou Entertainment Center earns a 5 out 5 rating for its drive for a fair, equal, and benefiting gaming practice.